For every anime fans, Full Metal Alchemist may be a familiar title. 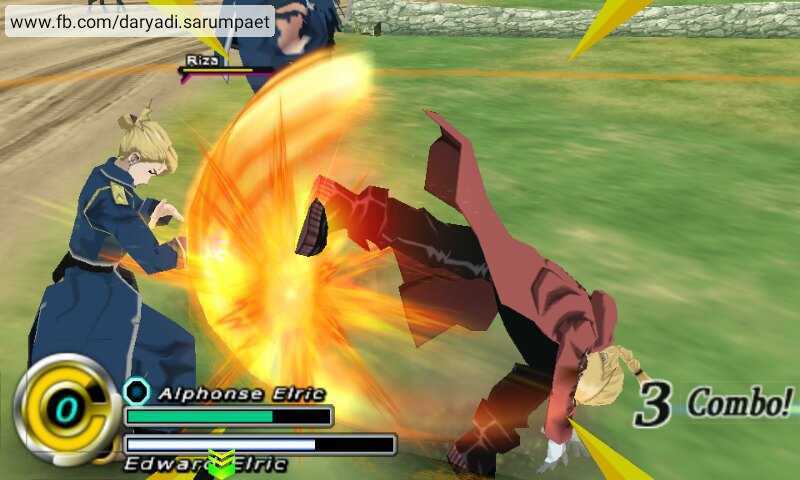 Full Metal Alchemist: Brotherhood is a game released on Playstation Portable (PSP) that are an adaptation from the anime with same title. If I'm not wrong, Full Metal Alchemist Brotherhood is an anime that got 50 episodes. This title is also in one of my wish list in my Anime favorites. 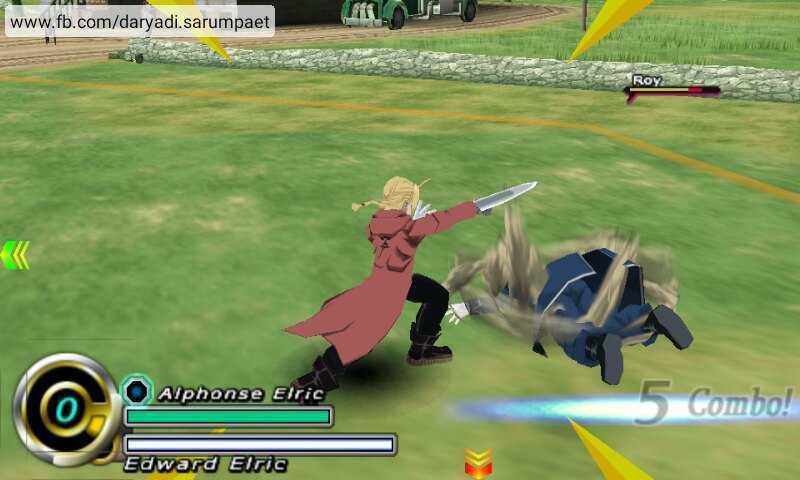 Full Metal Alchemist Brotherhood is a fighting-action PSP game. 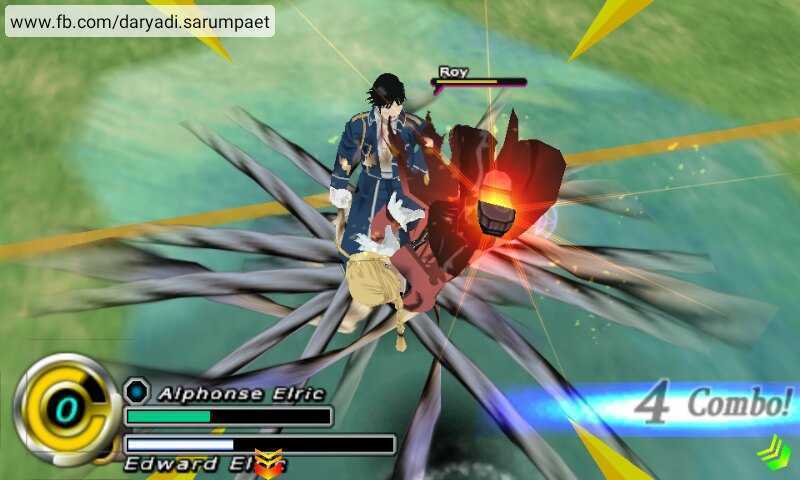 The battle stage consists of a limited area with a nice 3D environment. Player can move their character freely in a 3D movement. 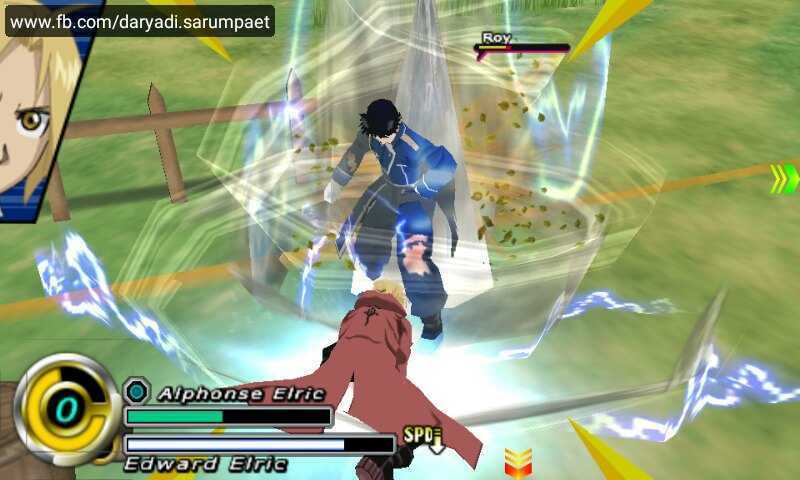 This game is also featured a tag team battle, where 2 on 2 battle as its characteristic. You must pay attention to your partner, as if he/she are cornered and uncoscious you will get a hard time to facing two opponents in a time. In order to win the battle, we must finish the two opponents. If a character goes down, their partner can revive him/her again. So we need to finish the opponents immidiately, or the battle will be a long task. The graphic and effects are amazing, every anime fans will like this game. 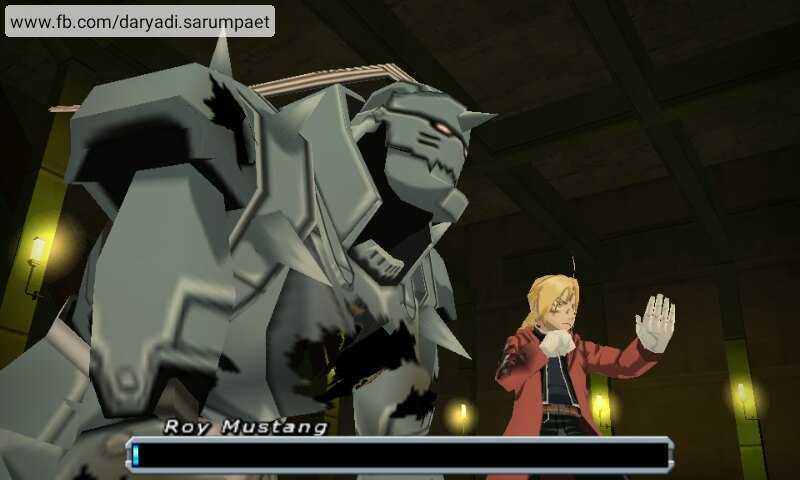 Moreover if you are a fans of Full Metal Alchemist, playing this game in the story mode may will be a fun time. 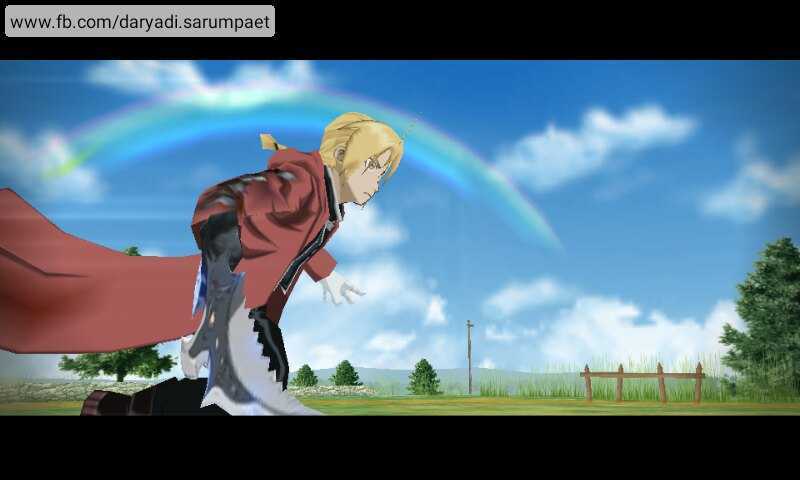 Tested on my Samsung Galaxy V Android phone, Full Metal Alchemist Brotherhood PSP game were running really slow. But it is run smoothly on my Advan Vanbook W80 Windows tablet. So I assume in order to play this game with good/decent speed on an emulator, you will need a device with at least a quadcore processors with 1 GB RAM. 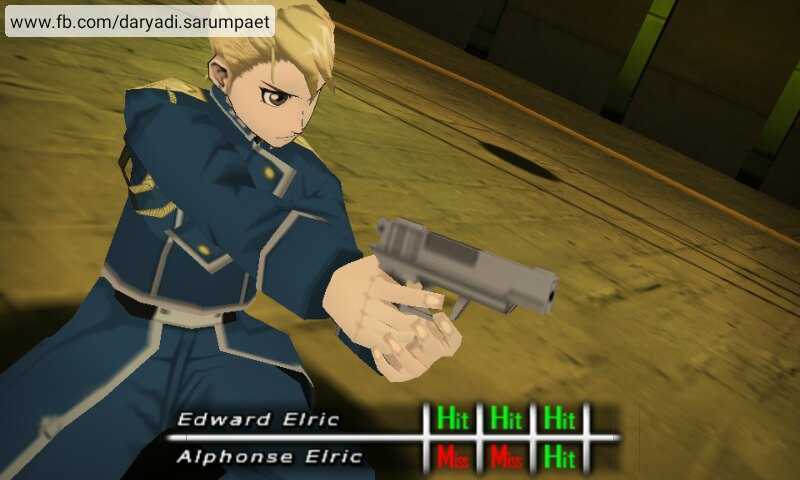 Comments (0) in "Full Metal Alchemist Brotherhood PSP Game on Emulator"